3S – Architects and Designers are a RIBA chartered company with offices in London and Germany. 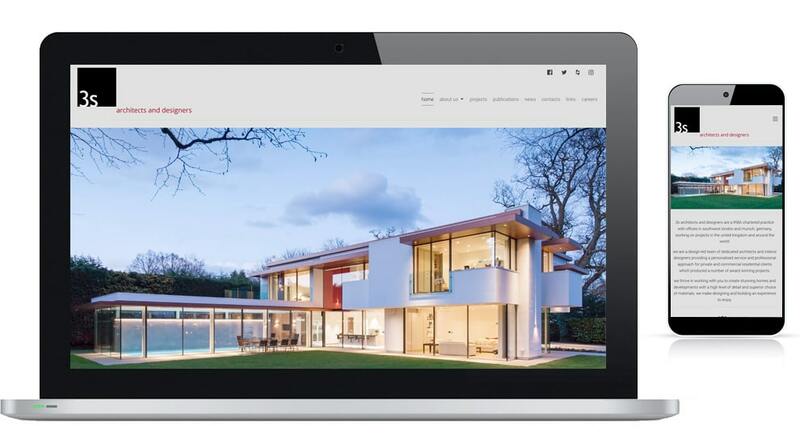 They hold many award-winning projects that were delivered by providing a professional yet personalised service to commercial and private clients. The client decided Lonlogic should be the agency to redesign their site. With our expertise in WordPress, we were able to implement an assortment of features to express and enhance their online presence. Ranging from a time-lapse banner video on the homepage, galleries complete with tabs for the type of projects worked on in the projects page and publications page. Learn more about Wordpress web design or order online similar website.